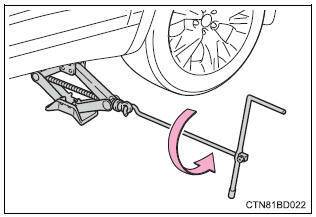 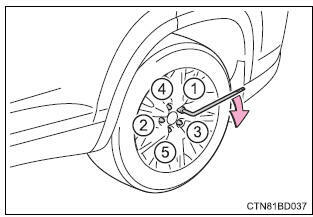 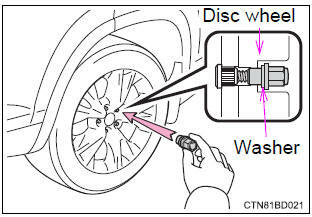 Install the spare tire and loosely tighten each wheel nut by hand by approximately the same amount. 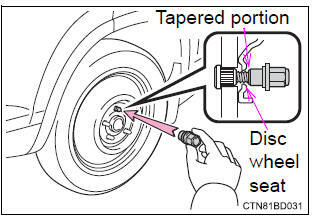 Tighten the nuts until the tapered portion comes into loose contact with the disc wheel seat. 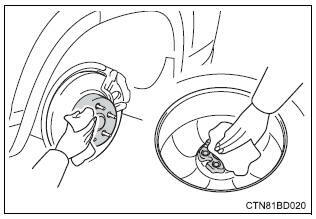 Turn the nuts until the washers come into contact with the wheel.